Toronto is not a cheap city, whichever way you look at it. However, the warm long days of summer open up many more possibilities for free things to do in Toronto. In addition, all of these locations are in, or very close to, downtown Toronto. 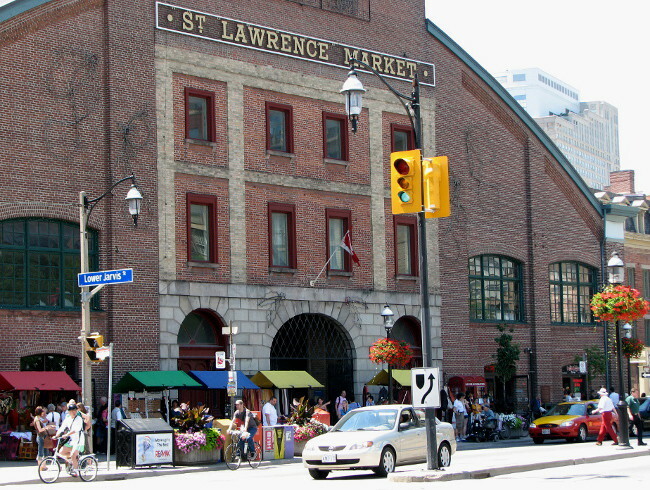 Voted the world’s best food market by National Geographic in 2012, St. Lawrence Market is now a full-blown tourist attraction, but still a good place to grocery shop or grab a cheap lunch. Saturday is the most crowded day, but also the most atmospheric, with buskers playing outside, and the Farmer’s Market in full swing across the street. (Note: the Saturday Farmer’s Market will be relocating one block to the south on June 20 during the reconstruction of the original building). Location: corner of Front St. and Jarvis St.
Bring a small picnic (or grab something at St. Lawrence Market) and come relax near the water. 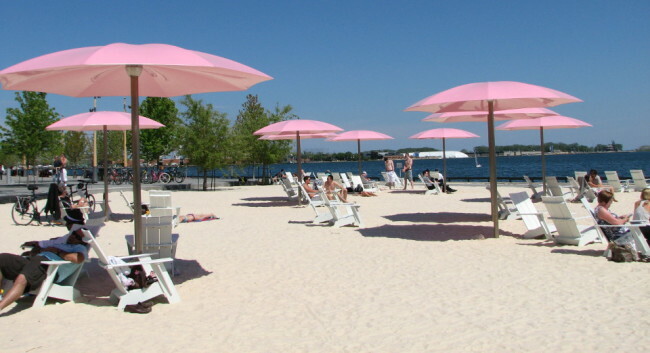 Sugar Beach is an urban park where you can sit on wooden cottage chairs with your feet in the sand, and either sunbathe, or seek shade under one of the pink parasols. You can people watch, read a book, or occasionally watch a boat unloading its cargo of sugar at the Redpath refinery! Continue walking along the lake along the eastern waterfront, or sit on a bench to watch the sailboats and seabirds. Location: southern end of Lower Jarvis St., south of Queens Quay. 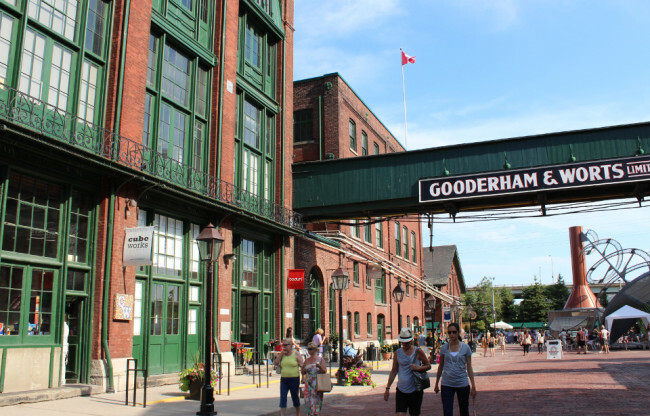 Wander the pedestrian alleyways of the old Gooderham and Worts Distillery, where the Victorian brick buildings have been transformed into restaurants, cafes, and quirky shops. Comprising more than 40 heritage buildings and 10 streets, it is considered the largest collection of Victorian-era industrial architecture in North America. Although the goods are rather pricey here, it’s free to wander around, window-shop, and soak in the atmosphere, sometimes further enlivened by an art and handicraft fair. At the Mill St. Brewery you can taste free beer samples, and sit down for an affordable meal at their restaurant or on their large patio. Cheaper treats at the Distillery include coffee at Balzac’s, and gelato at Soma. Location: Mill St. and Trinity St. If you like flowers, Allan Gardens, one of the oldest parks in Toronto, features a conservatory with tropical plants displayed in its five greenhouses. 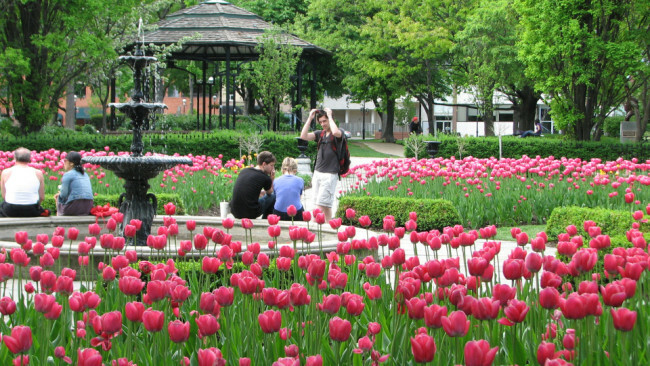 Queen’s Park is shaded by large trees and is located next to the Ontario Legislative building which also offers free tours. A little to the West of downtown, the Trinity Bellwoods Park is less known and has a truly local feel, with groups of friends sitting on the grass, and people walking their dogs. 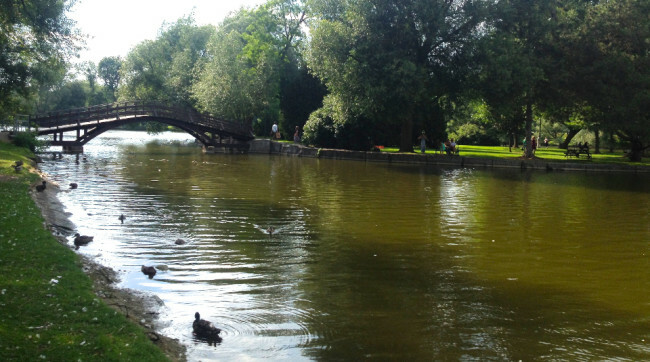 If you really want to feel like you’re escaping the city, then make a beeline for the Toronto Islands. With lots of parkland, water views, beaches, and even a couple of cafes, the islands are car-free (except for service vehicles) and are the perfect place for cycling, rollerblading, or strolling. It’s also one of the best places from which to photograph the Toronto skyline. The only way to get there is to take the ferry at the foot of Bay Street for the 5-minute crossing ($7.25 return trip; less for seniors, students, and children). You can easily make a day of it, and there are lots of places to spread out a blanket for a picnic. The AGO has a large Canadian art section (including First Nations and Inuit), as well as European, African, and Oceanic art. Not far from the AGO you’ll find Chinatown and Kensington Market, which are great fun to wander around with all their sights, sounds, and smells. These areas also offer some of the cheapest food and souvenirs in the city. 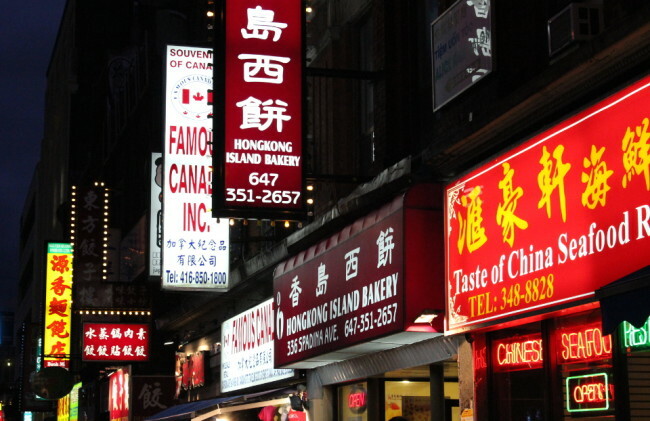 One of the largest chinatowns in North America, Toronto’s main chinatown (there are smaller ones) is home not only to a multitude of Chinese eateries, but also Vietnamese and Thai restaurants. Kensington Market, immediately to the west, was originally a Jewish neighbourhood which is now occupied by a melting pot of cultures (a microcosm of Toronto itself). With its bohemian artsy atmosphere (check out all the murals) it’s a neighbourhood of residences and shopping streets, some with distinct themes like vintage clothing, or Latin foods. Location: around Dundas St. W. and Spadina Ave.
Do you like shoes? If so Toronto has the museum for you: a museum entirely dedicated to shoes! And Thursday night from 5:00 to 8:00 PM is “pay what you can” night (with a suggested $5 donation). According to its website, it is “home to the world’s largest, most comprehensive collection of shoes and footwear-related objects” and “its international collection of over 13,000 artifacts spans 4,500 years of history“! The ROM (Royal Ontario Museum) offers free walking tours in areas of architectural and historical interest on Wednesdays and Sundays from late May to October. To see which ones coincide with your visit, check out their schedule. 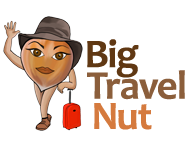 If you like walking tours, see also Walking tours in Toronto for more options. Sometimes, you just want to veg out and watch a good old movie. During July and August, free movies are screened at Harbourfront on Wednesday nights. Check here for details. Expect crowds, and bring something to sit on. Some regular cinemas offer discounted prices on Tuesday. For example the Rainbow Market Square cinema (in the alley across the street from St. Lawrence Market) sells $5 tickets all day Tuesday, and the much larger and modern AMC cinema at Dundas Square offers $7.95 tickets. Summer brings several large festivals to Toronto which are free to attend for the most part, such as Luminato, Gay Pride, and the Jazz Festival in June, Caribana (July 30-August 2 this year), BuskerFest (August) and more. Check out the Visit Toronto page for more information. Be prepared for crowds. Note: If you’re in town this week-end (May 23 and 24), you may want to attend Doors Open Toronto, an annual event where more than 155 private and public buildings all over town open their space to the public, often with guided visits, and all for free! Expect line-ups at the more popular places. Free summer events in Toronto Walking tours in Toronto 7 nature walks in Toronto Toronto’s UP Express is here! Thanks for sharing these tips. Free walking tour sounds nice. I wonder if we need to tip the tour guide in Toronto? Hi Mima! If a tour is advertised as “free” then you’re certainly not obligated to give a tip, although it’s always appreciated by volunteers ($5 for a 2-hour tour should do). If they mention that their organization runs on donations, then they probably expect it.